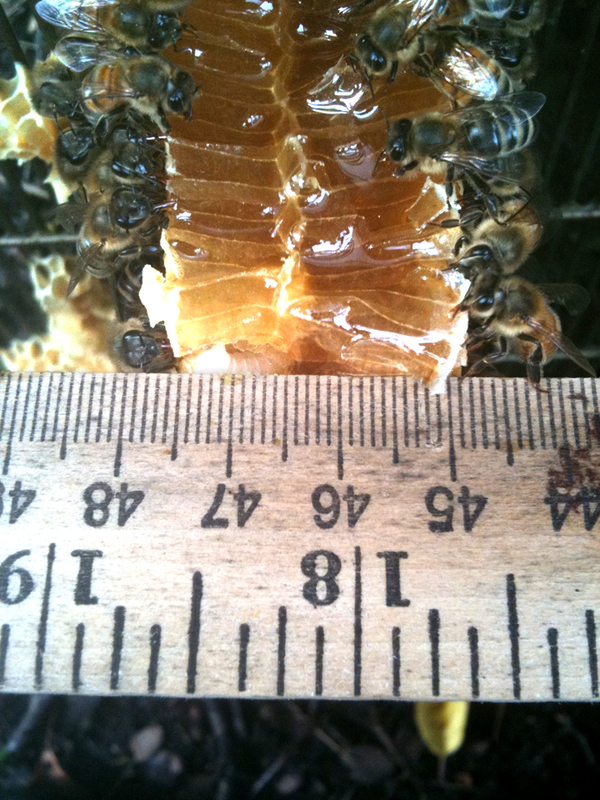 One of my conventional hives was one frame short so, the bees filled the void with natural comb. 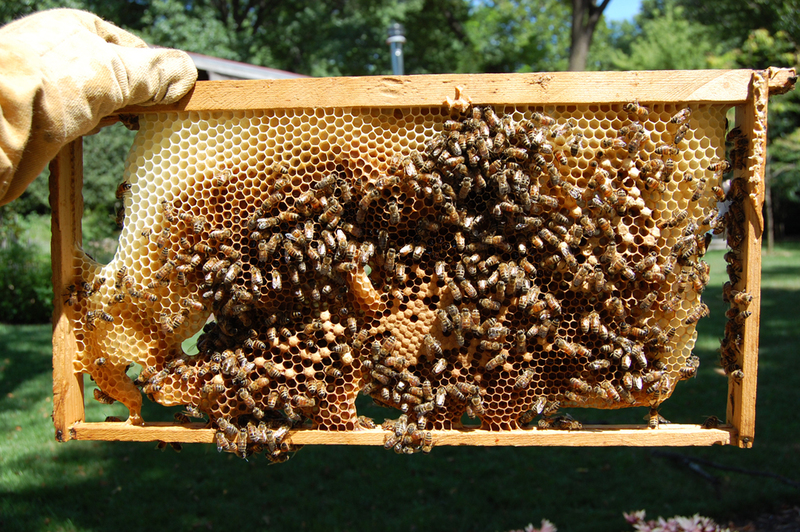 When given the option to build their honeycomb on plastic foundation or in open space the bees will avoid the manmade foundation. Assuming they know best I will build my frames without foundation. 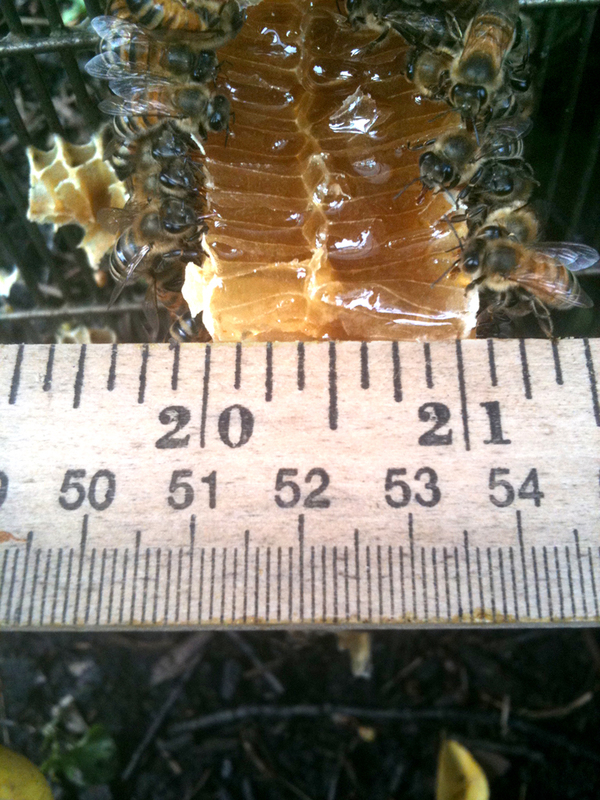 Once I pulled the comb pieces out as carefully as I could, I tied them to a frame and put them back in the hive. 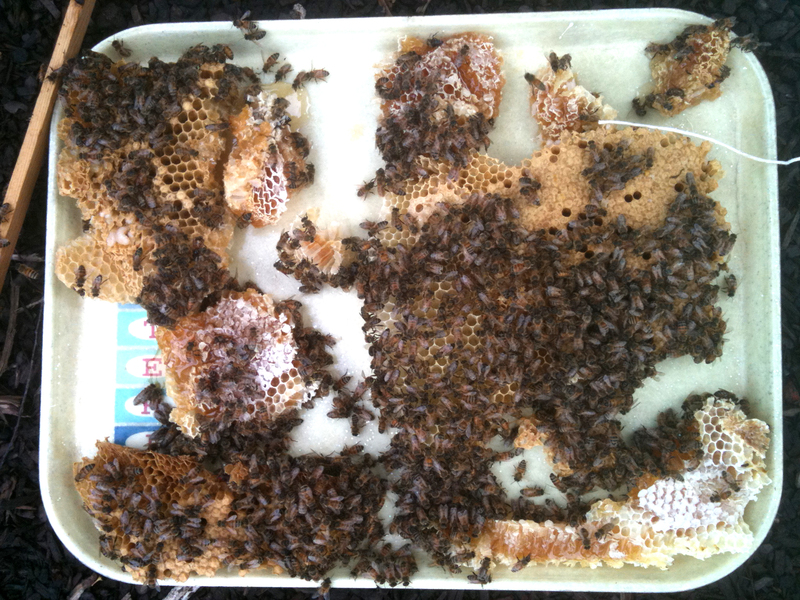 Notice in the pictures above the bees are drinking up the honey from the torn cells. 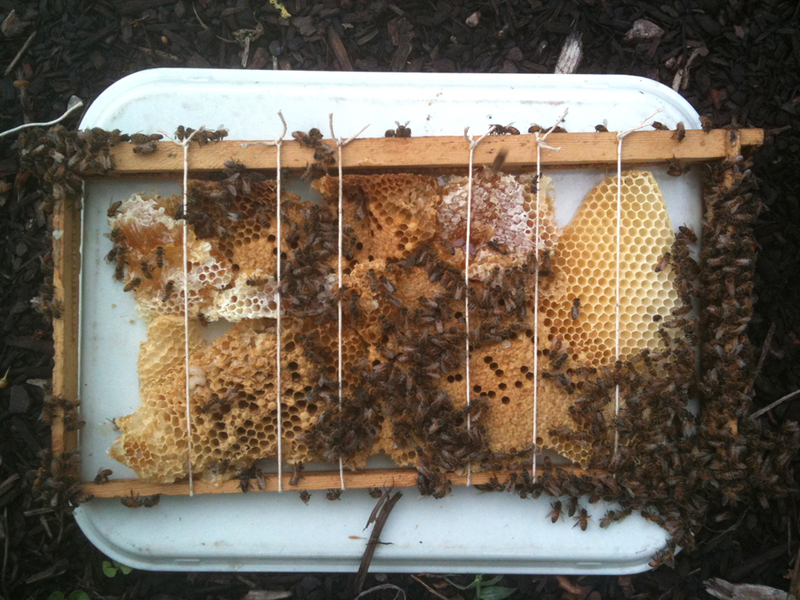 After a few weeks in the hive the bees repaired and secured the comb fragments to the frame and then removed the string I had used to tie them on.